Incidents of email and Internet misuse continue unabated & are regularly reported in the press. It is the attributes that make the Internet & email such essential business tools, which inevitably generate significant risks for employers. 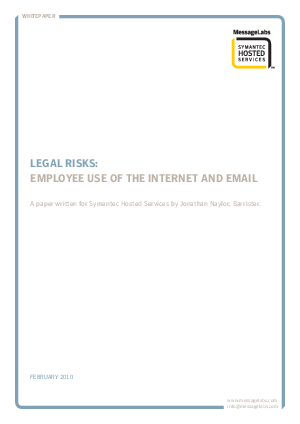 Read our latest research & uncover the legal risks to your business from employee use of email & internet.